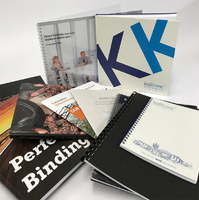 Kall Kwik Birmingham speicialise in a large range of Binding services. If you have any questions and would like to speak to one of our experts please call 0121 212 0500 for more information. 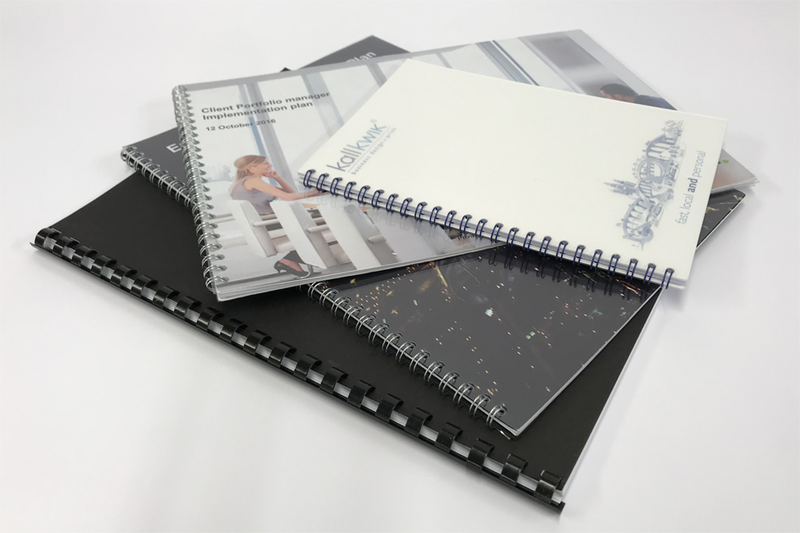 Wire & Comb Binding are the most popular forms of standard binding, this is a cheaper alternative then most other binds but still has a high quality professional finish. Our wire binds are available in Black, White and Silver. Our Hard Back Books are printed and bound by hand and can be bound in various different sizes. They can be printed in both portrait and landscape and can also be finished with a matt or gloss lamination to give it that professional look. If you are requring a one off bind and not a bulk order, these can be produced with a turn around time of 24 - 48 hours. 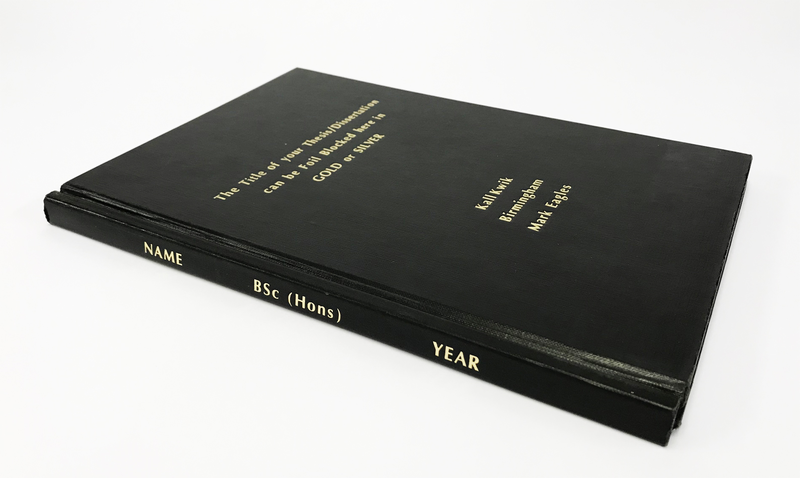 If you are producing a Hard Back Book for a University hand in please give yourself plenty of time for the document to be produced so it can still be handed in on time. Express turn around available, please call for more details. If you are studying at University and are in need of a Hard Back Dissertation for that all important hand in then look no further. 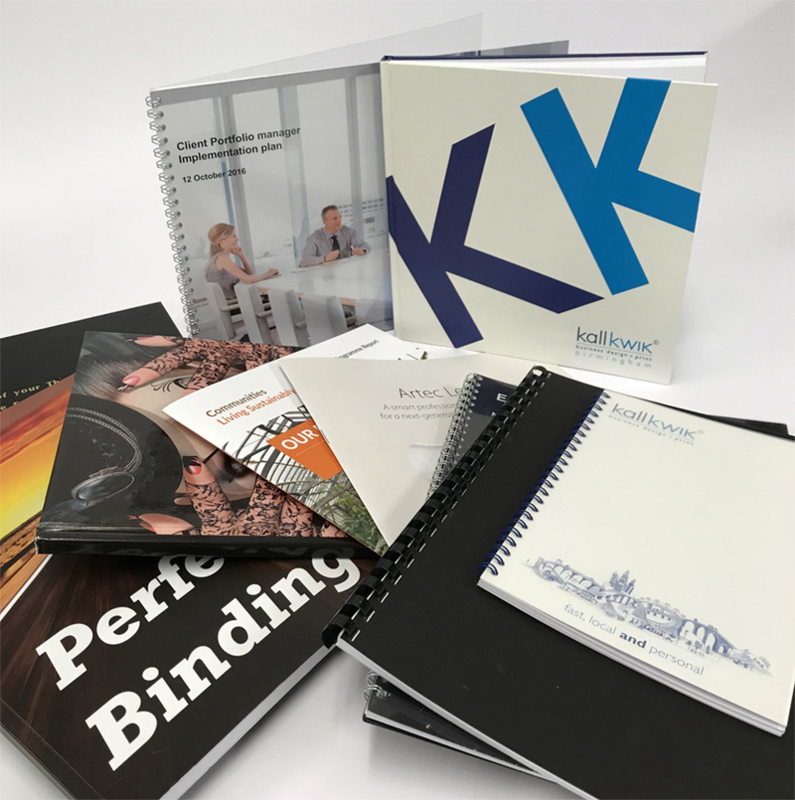 The Hard Back binding on offer at Kall Kwik Birmingham is produced using 3mm covered boards with a matching metal binding strip to give a complete and professional book finish. The covers are black and the foil printing can be in Gold or Silver. 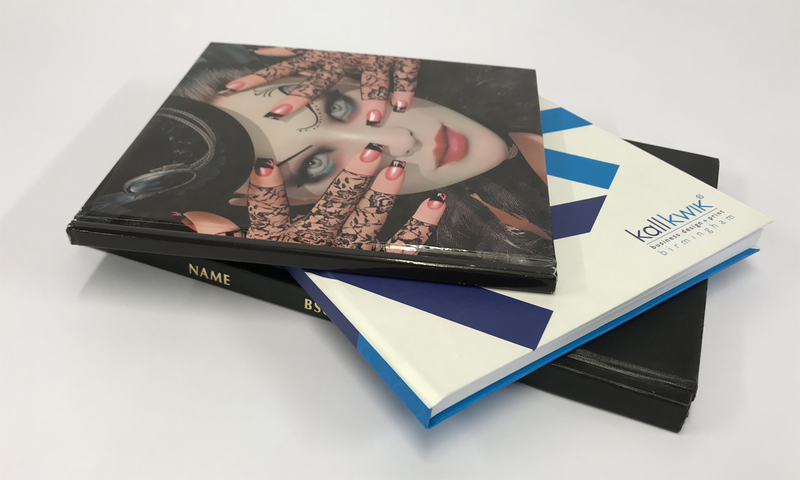 Standard production time for Foil printed covers is 24 - 48 hours so please give yourself plenty of time for the document to be produced so it can still be handed in on time. 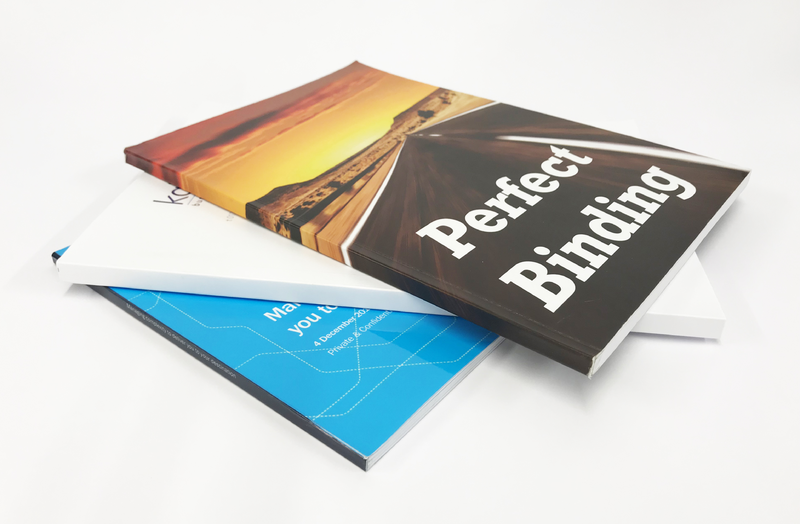 Perfect Binding is a great inexpensive binding solution. 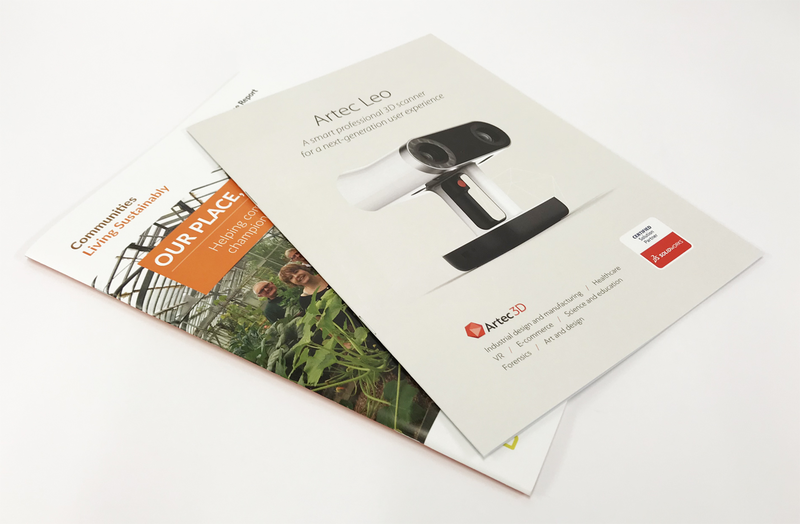 It can be used on a variety of printing projects because of its professional appearance and relatively low cost. Perfect binding is commonly used for catalogues, manuals, brochures, and dissertations. Turn around time for a perfect bound document is 24-48 hours. Saddle stitching is a very popular and speedy book binding method in which the folded sheets are gathered together one inside the other and then folded and stapled through the fold line with wire staples. This can be produced in any size up to A4 portrait. Various paper and card stocks are available for this method to give your documents a professional finish. Please call and speak to one of our experts for more details.